Asia, India, Uttar Pradesh, Varanasi. 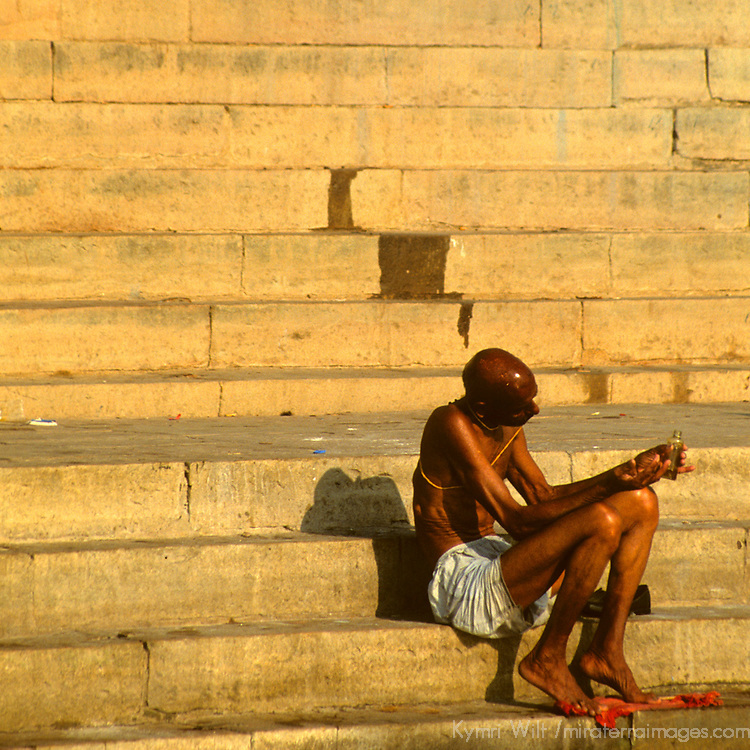 Scene of daily life along the ghats in the holy city of Varanasi on the Ganges River. A lone man in mediation faces the sunrise.